"I've got to live with the consequences and the damage to my reputation," said Bancroft. 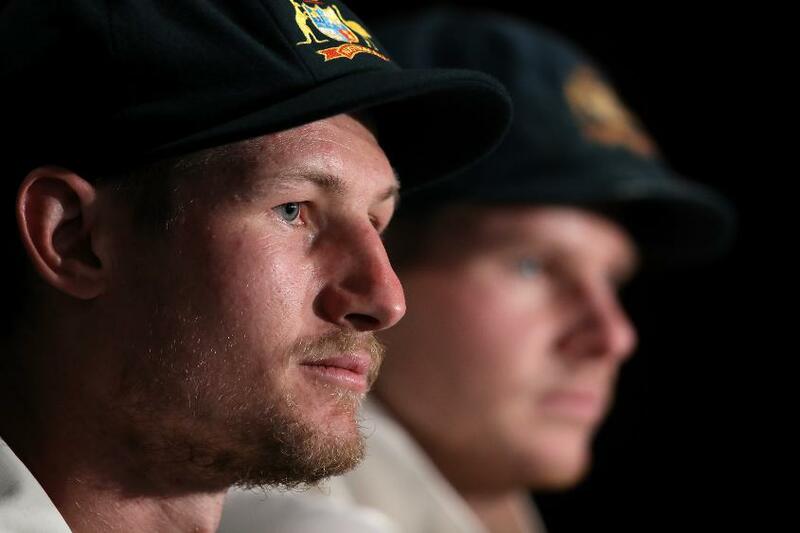 Cameron Bancroft and Australian captain Steve Smith have apologised after footage emerged of the former rubbing “yellow tape” on the ball before hiding the tape inside his trousers during the third day of the third Test between South Africa and Australia. Bancroft also confirmed he has been charged with an offence by ICC match officials. "We just had discussions with the match officials,” he said. “I've been charged with attempting to change the condition of the ball. "We had a discussion during the [lunch] break and I saw an opportunity to use some tape, get some granules from the rough patches on the wickets and change the condition, it didn't work, the umpires didn't change the ball. "I was sighted on the screen and that resulted in me shoving it down my trousers. Once I was sighted on the big screens I panicked quite a lot. I want to be here because I'm accountable for my actions. I've got to live with the consequences and the damage to my reputation." His captain accepted a large part of the responsibility, saying it was a decision that the team came to as a collective – but one that did not involve the coaches. "It was the leadership group's idea," said Smith. "Poor choice and we deeply regret our actions. The coaches weren't involved. It was purely the leadership group who came up with this. I am not proud of what's happened. It's not within the spirit of the game. My integrity, the team's integrity and the leadership group's integrity has come into question. It won't happen again. "This is the first time it has happened under my leadership. We saw this game as such as an important game. We've seen the ball reversing through this series and this ball didn't seem like it was going to go. It's such poor actions. Deeply regrettable and wont happen again. I can promise you. I can promise you this is the first time it has happened.